We've been bringing the best storytellers and illustrators from around the world into contact with kids throughout the region since 1999 through Step Into Stories, our children's literacy program. 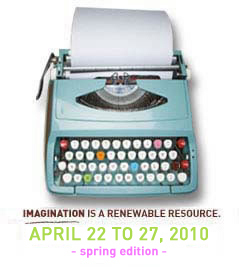 In 2009 the program was divided into Step Into Stories, for students from kindergarten to grade 2, and Think Ink, for grades 3-12. For more on the program, visit the Youth page. Visit our online Discussion Board for video, audio, reviews, and links to our YouTube and Flickr pages.